Microalgae are a promising feedstock for biofuels, but current methods of harvesting and dewatering them are unsustainable. 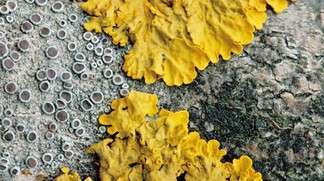 Now researchers have shown that growing the algae with certain filamentous fungi to form lichens can reduce both cost and the energy input. Biofuels produced using microalgae could play an important role in the transition from a fossil fuel-based to a sustainable economy. While researchers have optimized the transformation of microalgae into biogas, harvesting and drying the algae continue to consume too much energy, accounting for 20-30% of the cost of biofuel production. Now, scientists from EPFL and the Universities of the Western Cape and Stellenbosch in South Africa have come across a filamentous fungus that could cut the cost of biomass harvesting. They presented their findings in the journal Bioresource Technology in June. Burning biogas made from microalgae only releases as much carbon into the air as the algae absorb during their growth, making algal biogas a potential carbon neutral substitute for natural gas. Curiously, the bottleneck to making the technology competitive is not in the technologically challenging process of transforming the algae into biogas, a mixture of methane (CH4) and carbon dioxide (CO2). Researchers have solved this step using a highly efficient process called hydrothermal gasification as part of the SunCHem project . Instead, the bottleneck lies in the technologically much simpler step of harvesting the algae. Researchers Stephan Mackay and Eduardo Gomes may have serendipitously stumbled a potential solution to harvesting problem. When testing different types of microalgae, they noticed that in one of their samples, the algae lumped together into little pellets. Upon close investigation, they identified the culprit: a filamentous fungus, Isaria fumosorosea that had contaminated their samples. The pellets that they observed were in fact lichens, hybrid structures made up of algae and fungi. A few millimeters in diameter, the pellets are large enough to be harvested from the water with a simple filter, with much lower energy expenditure than conventional approaches such as drying and dewatering. According the Jean-Paul Schwitzguébel from EPFL's Laboratory for Environmental Biotechnology and the principal investigator of the study, the next steps would be to assess the energy savings that could be made using the approach if it were to be scaled up. Can algae-derived oils support large-scale, low-cost biofuels production?